The Test Valley Men’s Shed is a community project in Laverstoke, Hampshire. It provides a space where older gentlemen can gather and work on practical projects of their own choice, in addition to providing a great place to talk. Come and visit to see what we’re up to. The Shed is now open on Tuesday and Thursday mornings between 9 am and 12 pm. Our first project has been to repair the rotten flooring in the building to make it safe. We’ve also opened up the building to provide a huge space which we’ll use as the main workshop. If you have time on your hands and you’d like to get involved in projects at Men’s Shed send us an email via testvalleymensshed@gmail.com or visit the Shed on Laverstoke lane. To find the shed, look for an unpaved track next to Lady Rose Hall we’re at the end of the track. We’re just finishing up a new outside wood storage shed to store our firewood while it’s drying. We’re also beginning to plan the future of the shed starting with some woodwork projects for the everyone to undertake. 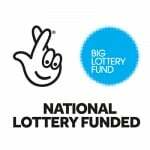 A huge thank you to all the National Lottery players in the UK. The Test Valley Men’s Shed is now the proud recipient of Lottery Funding. We’re going to use the money to open for at least one further day per week and install a wood burning stove which will allow us to open during the winter months. Another plan is to hire a skip to clear away rubbish from the building.